cheapest essays writing services For a team building or group social experience like no other. Back Bar Cocktail Making Classes have been voted as one of the best Cocktail Making Classes Melbourne has to offer! essay on religion Our Cocktail Making Classes are the perfect way to get a birthday or hens party off to a fun start. The classes are also an effective team building activity. 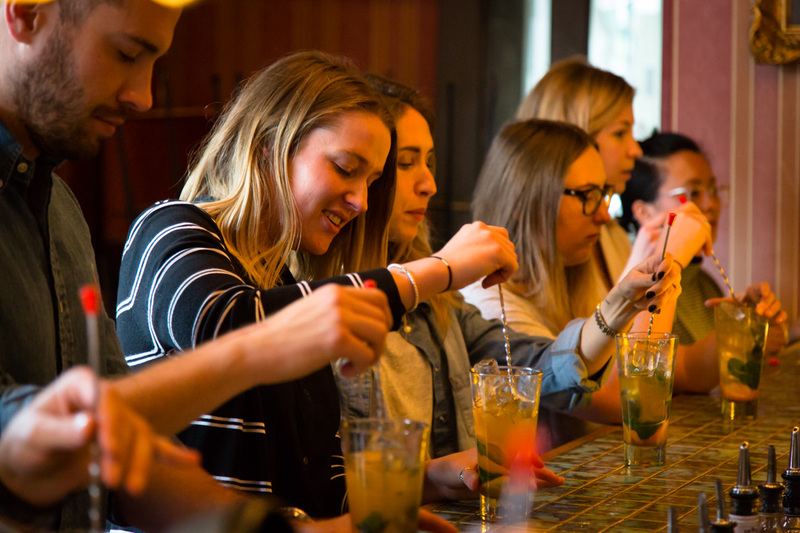 https://alsrideforlife.org/programs-assistance/6815-cheap-generic-viagra-online-reviews/17/ We offer our Cocktail Making Classes at Mofo Lounge which is located in Prahran. We also run our classes at a number of other venues in the Prahran and Windsor area. A mobile service is also available where we bring the class to you. follow site Our cocktail making classes are an interactive, ‘hands on’ event that will have you mixing, muddling and shaking your own cocktails like a pro. You will be welcomed with an arrival drink to enjoy before the hard work of cocktail shaking starts. Your personal Mixologist will then guide you through the process of making 3 cocktails. Teaching you the techniques and secrets to mixing and shaking your own cocktails to perfection. It’s a two and a half hour class that is guaranteed to be full of fun and laughter. source url A mocktail option is also available. This allows non drinkers to participate in the fun of the class with the rest of the group. bauman thesis eleven Our Cocktail Making Classes Melbourne event is available on any day of the week. On Saturdays we offer the class at set times whilst on other days you are free to specify your preferred event time. The latest event time available for small groups on Friday & Saturday is 5pm-7:30pm. https://cedar.buffalo.edu/diar03/review/reviews/que-es-viagra-yahoo.html Later event times are available Friday and Saturday evenings for groups with a minimum of 20. For groups of this size we offer a Cocktail Class package. The package includes an extended private hire period and additional canapés. Please enquire for further information on this event. http://owjn.org/2420-coursework-help-online/ A minimum event charge for 10 guests applies on Saturdays. On other days of the week the minimum event charge is for 7 guests. If you have less than the minimum group size then we can still host a class for you with the minimum event charge applying. http://jarmac.com/2019/education-dissertation-topics/4/ Additional canapés may be added to your event. Mofo Lounge offers an extensive function menu of canapés which you can find here. https://cscaz.org/6096-find-discount-cialis/ At the completion of your Cocktail Making Class groups are welcome to stay and continue the night at the venue or you may like to head out for dinner with a number of great cafes and restaurants being located within a short walk on Chapel St.
http://www.netusa.org/viagra-free-delivery/ For further information please contact Grant on 0409865279 or your can submit a Cocktail Making Class enquiry by email.